justthefood.com...the blog: Vegan Sandwiches Save the Day! Never eat a boring sandwich again! 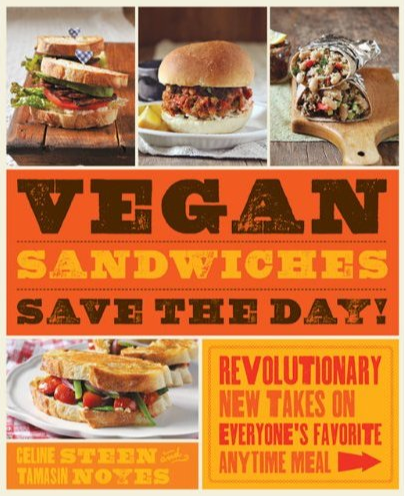 Celine and Tami's new book Vegan Sandwiches Save the Day! 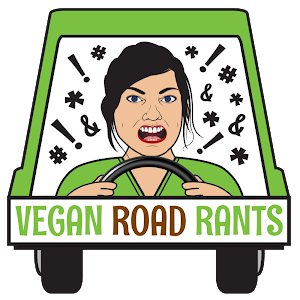 : Revolutionary New Takes on Everyone's Favorite Anytime Meal is finally out, and man, you all need to get your paws on it! Amazing recipes for amazing sandwiches. I fancy myself a bit of a sandwich snob, and this book has impressed me from page one. Smartly laid out in a fun format, this book has tips, tricks, and of course amazing photos of delicious sandwiches. Berry Stuffed French Toast Pockets (page 34) because the crispy, crusty french toast recipe is great on it's own, but the berry filling makes a great surprise. These also work great on the go as a handheld. Super yum. Orange Fennel Summer Rolls (page 83) because they are so easy, fast, and refreshing on hot days. NO COOKING REQUIRED! Plus they are so pretty, and make a great appetizer as well. The Party Monster (page 124) because it is delicious green bread stuffed with delicious home made deli slices and other savory goodness. It's a bit time consuming, but oh-so-worth it. Oreo Wafflewiches (page 173) because, even though it's meant as a dessert, this one screams breakfast (to me) and tastes like a giant Oreo cookie! Whoa. Another fabulous feature of this book is Chapter 8: The Building Blocks, which is has recipes that can be used throughout the rest of the book, or on their own. Recipes for how to make your own sandwich breads, and deli-style slices to come up with your own sandwich creations. I cannot recommend this book highly enough. Sure, I am biased! Because I love Tami and Celine. But I only love them because they are so awesome, and so are their recipes. And guess what else? The fine folks at Fairwinds Press have offered a copy for me to give away to one of you! Just leave me a comment in the comments section below telling me what your favorite sandwich is, and I will choose one of you at Random on Friday, August 10, 2012 in the morning at 9am PST. I only ask that if you enter, that you check back to see if you have won, otherwise I have no way of contacting you to send you your book. This giveaway is restricted to Shipping within the US only. 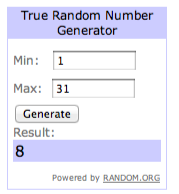 The giveaway is now over...the winner is #8! Favourite sandwich! So hard to choose. I was a fan of the Thanksgiving Leftovers from Snice in Brooklyn. Tofurky, sweet potatoes, roasted Brussels, cranberry sauce and gravy. yes yes. by Celine Steen and Tamasin Noyes, Photo by Celine Steen. thoroughly until smooth. Stop to scrape down the sides occasionally. flavors meld. Enjoy the leftovers within 1 week. of the marinade will either be absorbed or coating the tempeh. week and cooked as needed. I LOVE breakfast sandwiches. All of them. Breakfast tofu burgers, breakfast sammiches with tempeh bacon, breakfast sammiches with tofu burgers AND tempeh bacon. Love 'em all. That sandwich looks amazing! My favorite sandwich is a vegan banh mi or anything with marinated tofu and a good crusty bread! My favorite sandwich is I Am Magical, from Cafe Gratitude...a veggie burger with slightly-spicy coconut bacon. 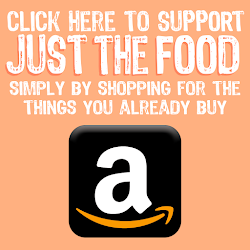 It's a great meal to take to a concert at the Hollywood Bowl or to a baseball game. Thank you for the recipe and the giveaway! I like any version of toasted peanut butter & jelly, but I really enjoy all sandwiches. My favorite sandwich is a tempeh reuben with plenty of caramelized onions, sauerkraut, and smothered in vegan thousand island. oh, my favourite sandwich is toast with walnut pesto, tomatoes, arugula and cheezly, preferably grilled! I love a simple burger. 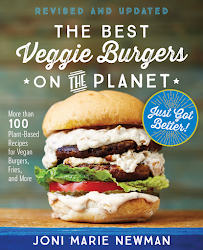 In fact, thinking about the answer to this question just made me want to dig out the burger book and make some stuff! We'll put anything in a wrap but I think our favorite has got to be banh mi! We also turn sandwich fillings into salad toppings - banh mi shines here, as well (but so chickpea tacos and potato tacos). That BLT for sure! I used to love BLT with real bacon and can't wait to try that one! I am a falafel and hummus in a spinach wrap with lettuce, cucumber and tomato! I'm a ho for putting in my name, but there you go! my favorite sandwich is anything on happy camper bread, because it's xgfx and goooooooooood. slab some homemade hummus on there with some ripe tomatoes, and i am so happy. My favorite sandwich is one that they used to serve at a kosher vegetarian restaurant I worked at many years ago. It's a panini with walnut pesto, apple slices, vegan white cheese, and caramelized onions. Yum! My favorite sammich is a nice hot grilled veggie sammich on Dave's Killer Bread. Smothered with vegan mayo! My favorite is a grilled cheeze with tempeh bacon and tomato. MMM. Is it sad that my favorite sandwich is essentially lots of avocado smeared on whole grain bread with salt and pepper? it's boring, but I love a peanut butter and banana sandwich (I'm channeling my inner Elvis)! Very nice sandwich...very to make it. thank you for shearing. I like the exciting flavors and contrats in a perfect tempeh reuben! My favorite sandwich ever was Sheila's Viva Las Vegan sandwich at Zingerman's Deli in Ann Arbor MI! Grilled Farm bread with Artichokes, Roasted Red Peppers, Spinach + Hummus! I love the Al Pastor seitan baguette from Cinnamon Snail - spicy seitan, battered jalepenos, pineapple, greens, and spicy mayo. My favorite sandwich (right now!) is a tempeh reuben. I thought I hated sauerkraut! Vegan club with avocado on rosemary bread. Sandwich bread spread with Veganaise and then layered with sliced tomatoes, cucumbers, and thinly sliced purple onion topped with mashed avocado, and finished off with a drizzle of the Island's China Coast salad dressing, Yum! 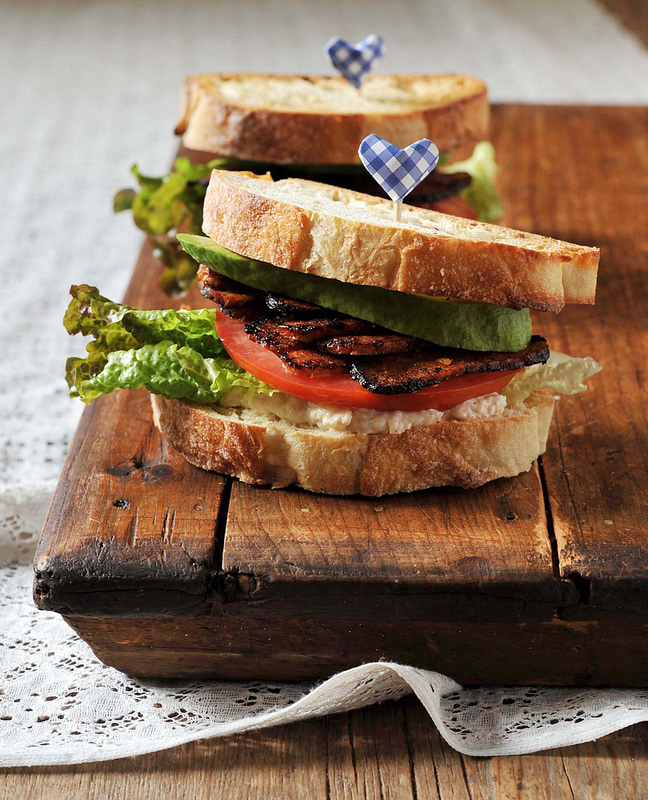 my favorite sandwich is a BLT with rye bread, veggie bacon, lettuce, tomato and veganaise! Very nice explained recipe. Sandwich looks good on the photo! Haha. i love you kittee!